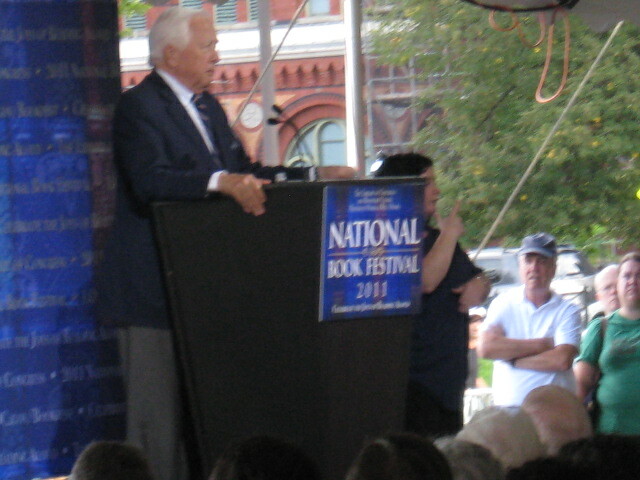 I recently went to the Nat’l Book Festival held annually here in DC. 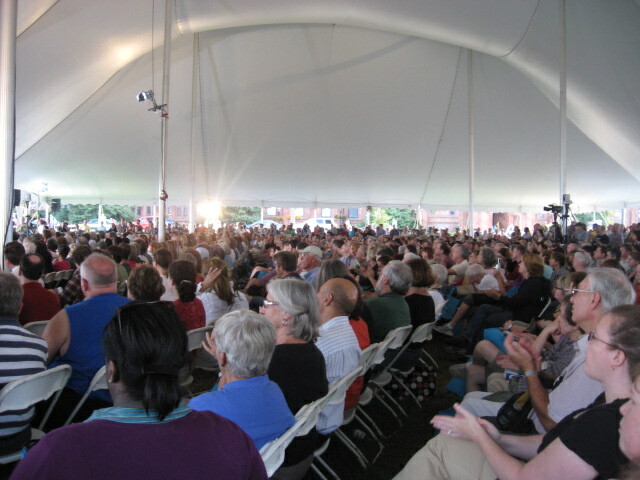 It’s a FREE event and suitable for ALL ages. 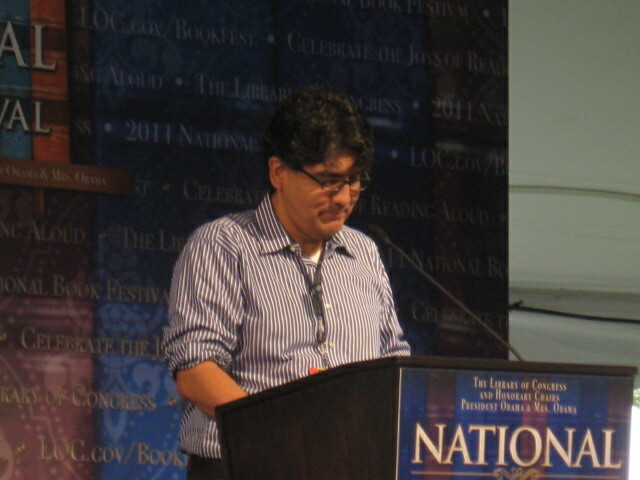 I heard several authors speak, including Sherman Alexie, one of my favorite authors. He has overcome a LOT in his life to become a success: illness, alcoholism and many deaths in the family, absentee father, and poverty being some of the issues. 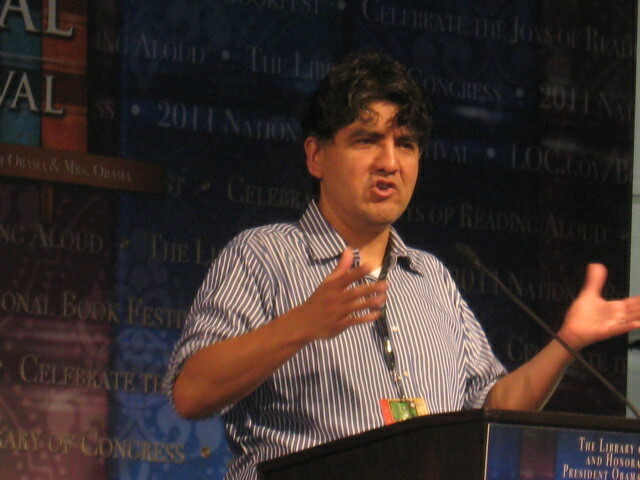 Alexie’s desire for something better lead him to a HS (off the reservation) in a lower-middle class white town. He was the ONLY Indian student at that time. 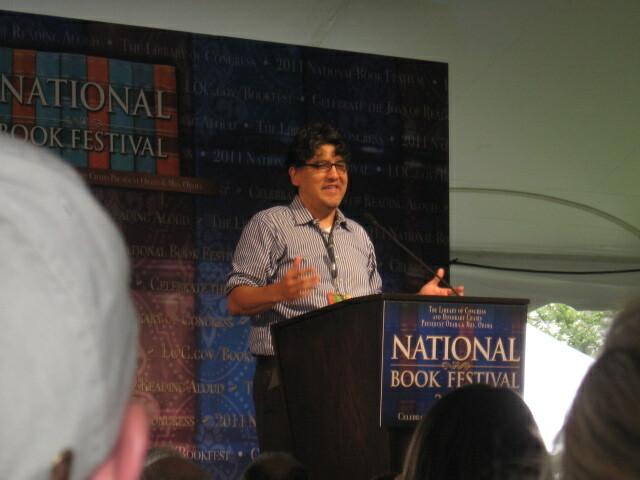 “I don’t know how it happened, but there were four PhDs teaching there.” He is a GREAT speaker and VERY funny! 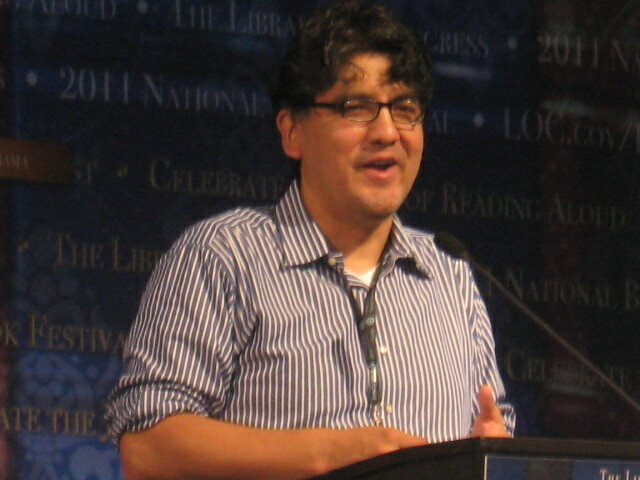 He also wrote the screenplays for Smoke Signals and The Business of Fancydancing. 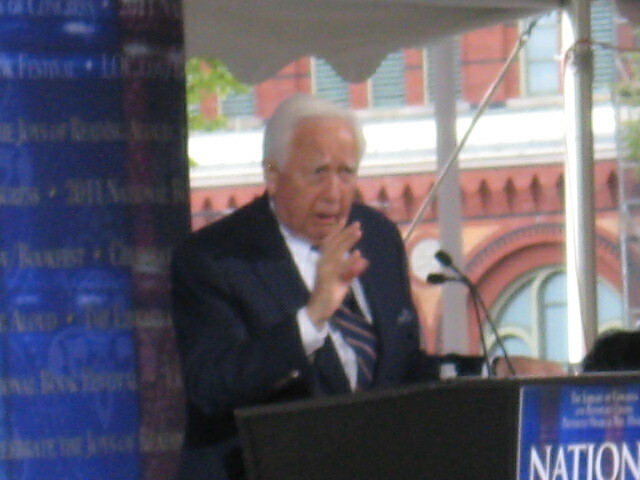 Being a BIG fan, I knew some of the anecdotes and jokes he told. 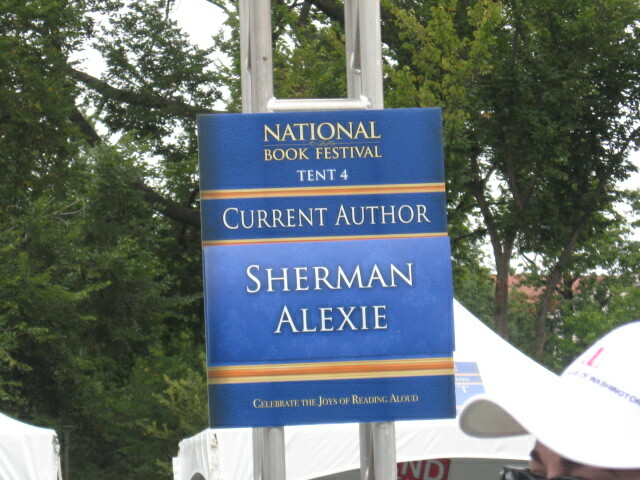 Alexie came to my high school in 1996 (before he was well-known). I learned that the doc who performed surgery on him (when he was an infant w/ an enlarged brain) was a Greek Muslim man. “I know some people are nervous about that kind of stuff… but not me. I’m like ‘Go Allah! '” he exclaimed. 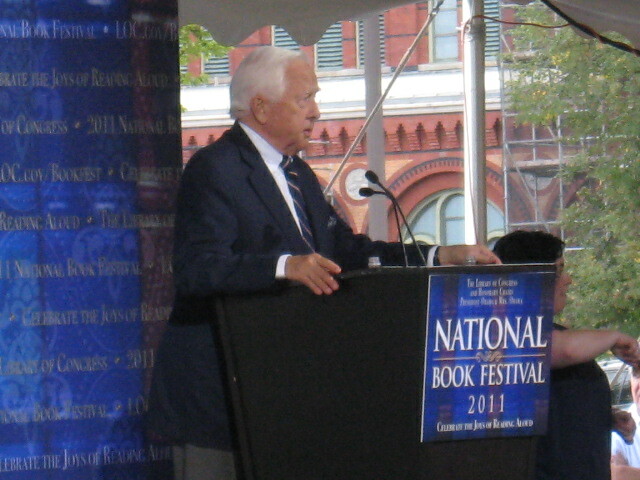 I bought his most recent book of poems and short stories, War Dances, which he autographed. 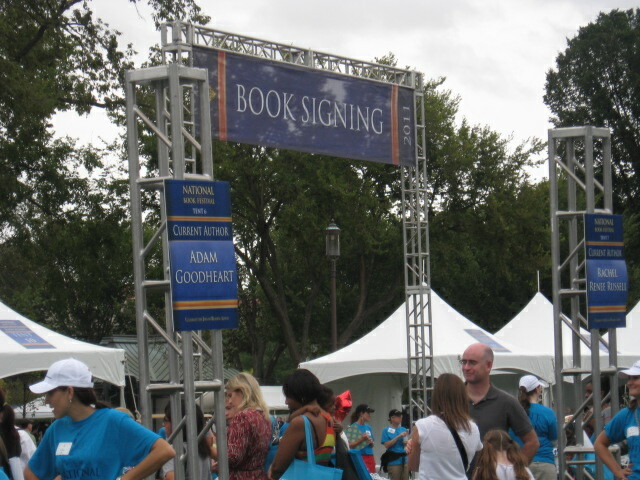 It was PRETTY exciting for me (even more than when I met Jhumpa Lahiri and Chitra Divakaruni)!